The Russian nationalist party LDPR has reelected Vladimir Zhirinovsky as its leader, with the 70-year-old immediately starting preparations for the 2018 presidential campaign by proposing to cut the number of Duma MPs. The weekend convention of the Liberal Democratic Party of Russia (LDPR) unanimously voted for Zhirinovsky to remain as party chairman for another term. Zhirinovsky was also elected to the LDPR’s supreme council, and according to party sources is most likely to become head of the body in the nearest future. The previous head of the council, Zhirinovsky’s son Igor Lebedev, recently vacated the post according to party rules. The convention also voted to cut the size of the supreme council from 10 members to seven, and elected completely new personnel to sit on it. The previous members of the council, most of whom joined the lower house (State Duma) after the September 2016 elections, will now concentrate on their parliamentary work. 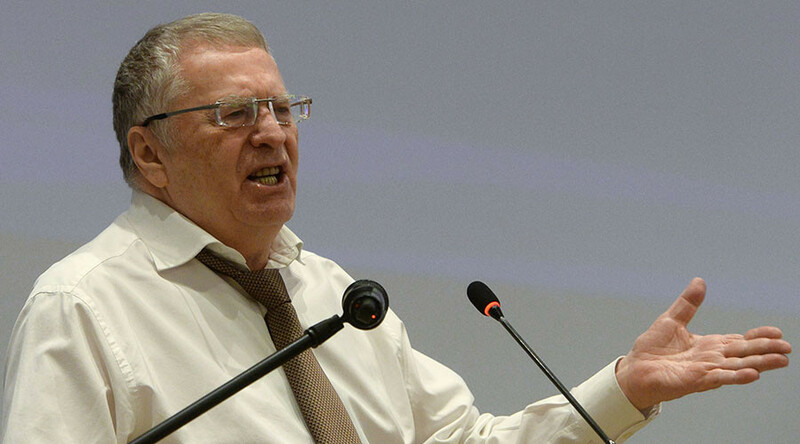 In his speech before the convention Zhirinovsky welcomed the moves, saying that there must be no “eternally permanent positions” in the party. He also said that most likely he would run for president in 2018. It would be his sixth presidential campaign, something unprecedented in Europe, the LDPR chairman said. Zhirinovsky has not yet announced any major points of his election program, apart from a proposal to cut the number of deputies in the Duma. “I think 300 will be enough, because a lot of them don’t even have time to speak. They just sit there in silence for five years,” he said. Currently the Russian lower house of parliament is comprised of 450 seats. The LDPR leader first spoke of his 2018 presidential ambitions during a radio interview in mid-2015. In the same interview he said that he did not exclude that current President Vladimir Putin would run again. If Zhirinovsky fulfills his pledge, it will be his sixth presidential bid, but technically it could only be counted as his fifth in the race to lead the Russian Federation, because the very first one dates back to 1991 – when Russia was a Soviet republic. His results in past campaigns have ranged from almost 8 percent of votes in 1991 to just 2.7 percent in 2000. In 2004 Zhirinovsky allowed his deputy and former bodyguard Oleg Malyshkin to become a candidate, reasoning that it was virtually certain that the LDPR candidate would lose to the extremely popular incumbent, Vladimir Putin. At the latest parliamentary elections the LDPR won 39 seats, putting it in third after centrist conservatives United Russia with 342 seats and the Communist Party with 42 seats. The fourth parliamentary party is the center-left Fair Russia, which has 23 seats. One seat is occupied by a representative of the nationalist party Motherland and one more by an MP from the pro-business Civil Platform party. 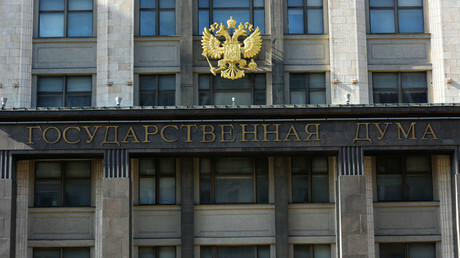 Two seats in the State Duma currently remain vacant.